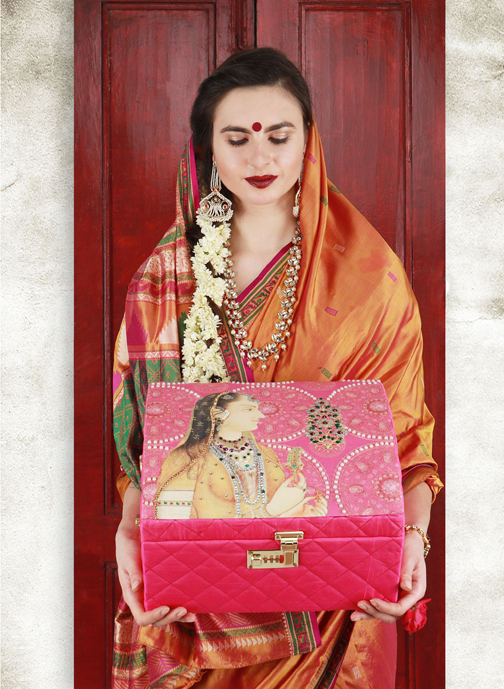 House of Puneet Gupta Invitation announces the launch of its Autumn/Winter 2017 collection ‘Regal Chronicles’. 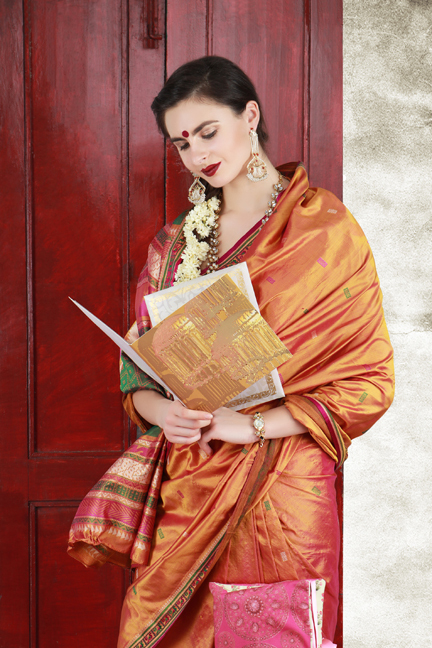 The new collection caters to the Modern Indian Bride who is always on the lookout for contemporary handcrafted products with a flair of Indian sensibilities. 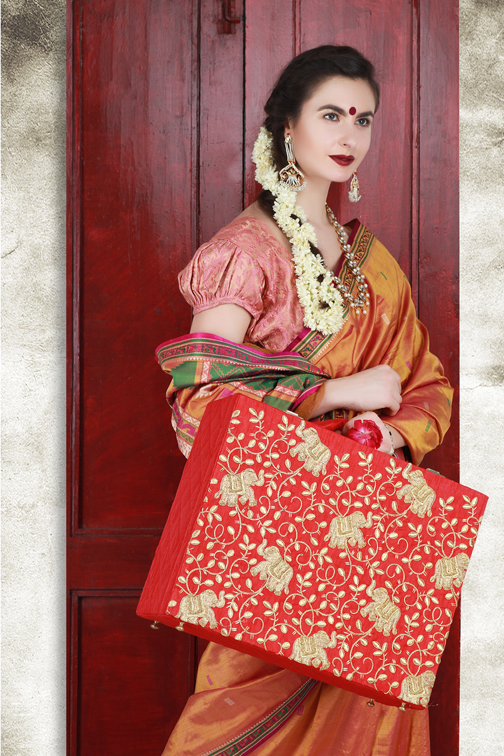 The handcrafted range is rendered with colors that are lush and soft with gold tinge and highlights. 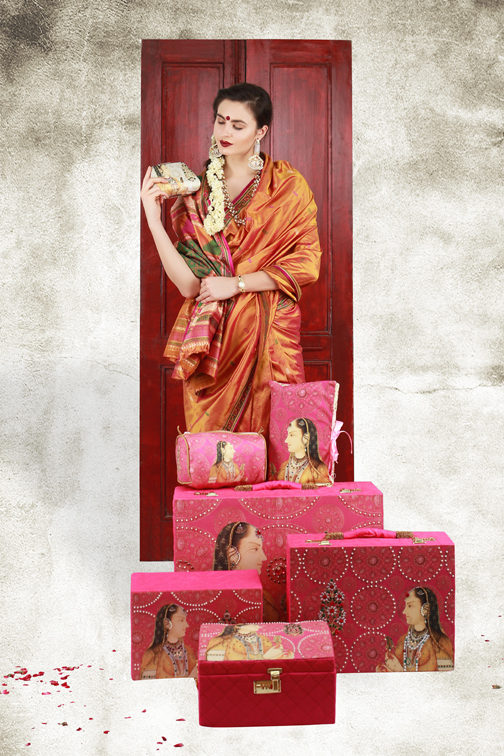 Entire range of products are handmade and uses a mix of traditional handmade techniques and crafts and contemporary designs to create an international product thats truly Made in India. 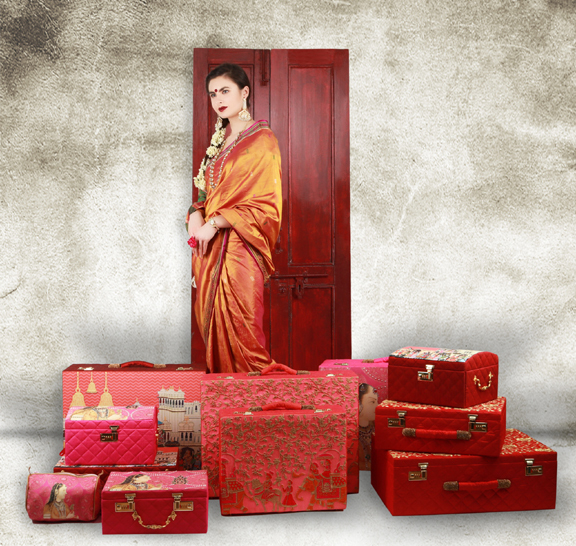 The collection offers heirloom invitations, trousseau trunks, vanity trunks, jewellery trunks, clutches, lingerie bags, vanity pouches, bangles and hairbands.